← Compo Beach Palm Tree Returns! 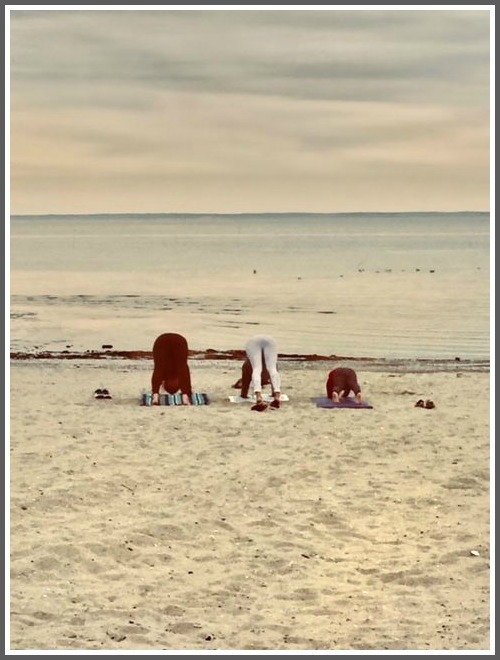 This entry was posted in Beach, Pic of the Day and tagged Compo Beach, Downward dogs. Bookmark the permalink. This is wonderful….we need a yoga class at the beach. Would love to join in.